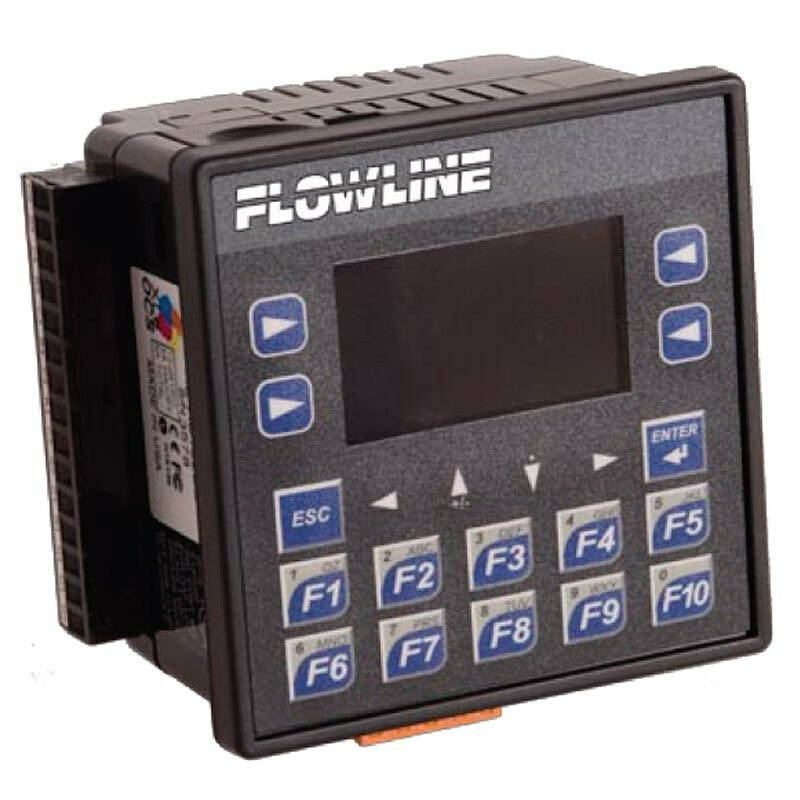 Advanced Micro PLC Controller for use with Flowline Level Sensors. A compact all-in-one solution with controller, graphics and removable mass storage for industrial applications. As a compact, powerful controller – the Commander series can be used in literally thousands of applications. From OEM machine control to machine monitoring in a plant environment, the Commander series can be instrumental in keeping you or your customer’s automation activities running smoothly. The commander series is small enough to fit in the palm of your hand, and includes a graphical operator interface and removable mass data storage. The display is designed with an attractive look so it will fit in with most panel or console designs.